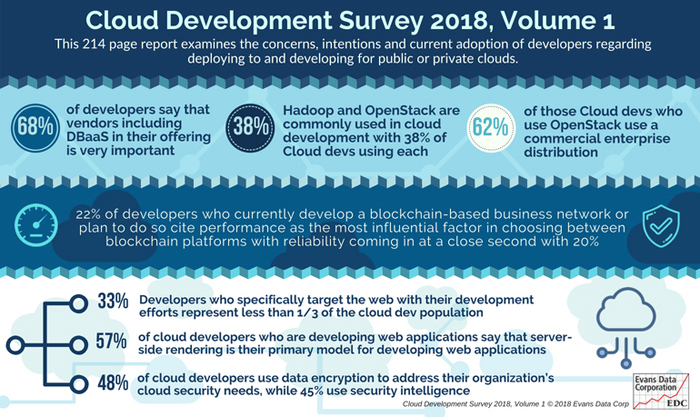 SANTA CRUZ, CA July 25, 2018, Cloud vendors are working hard to win developers over to their platforms, and according to over 480 developers actively developing for or in the Cloud it’s Database as a Service that is the most valuable thing in that equation. DBaaS was rated as the most important element a vendor could include in their offering, with over 68% rating it as Very Important. It topped the ratings for Technical Support, Analytics, Content Transcoding / streaming and Deployment and management monitoring service.